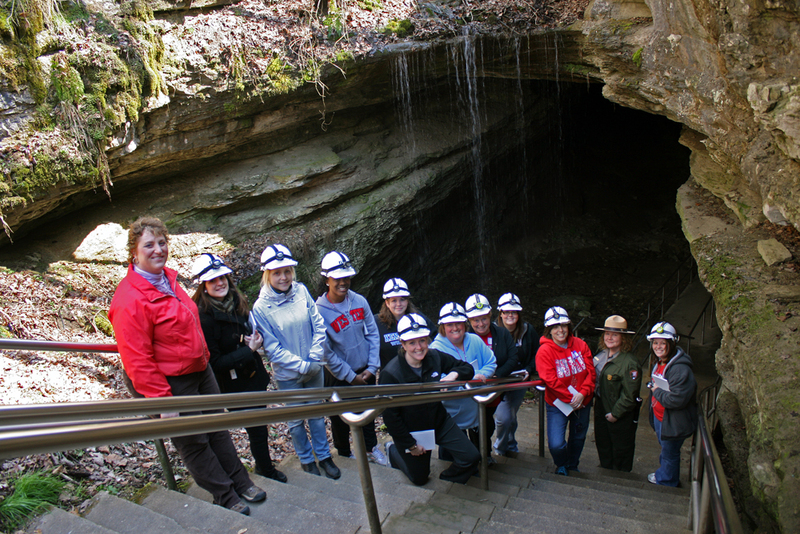 Two student teachers from Sweden recently visited Mammoth Cave National Park as part of an international student teaching exchange program through WKU. Natalie Sezgin and Kristina Tengelin, both students at Linköping University, participated in an overnight environmental education workshop at Mammoth Cave. Sezgin and Tengelin joined eight WKU students for the workshop led by Dr. Jeanine Huss, associate professor in WKU’s School of Teacher Education, and park rangers Jennifer Shackleford and Cheryl Messenger. Both students enjoyed the opportunity to learn about inquiry-based learning and to tour the cave. Inquiry-based learning is “a great way to involve students in the learning process since it allows them to independently search for answers and encourages their creativity,” Tengelin said. Sezgin agreed. “To make them curious is the first step to get the students motivated on school and off school,” she said. 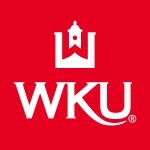 As part of the program managed by WKU’s Office of Teacher Services in the College of Education and Behavioral Sciences, Sezgin and Tengelin have been student teaching at Bowling Green High School for five weeks. Sezgin is teaching social studies, while Tengelin is teaching German. In April, WKU students Max Kostrach, an English major from Louisville, and Nikki Rogers, an elementary education major from Prospect, will travel to Linköping, Sweden, to complete their student teaching experience as part of the exchange program. 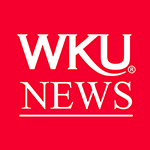 Contact: Fred Carter, (270) 745-4611; or Vickie Carson, (270) 758-2192.